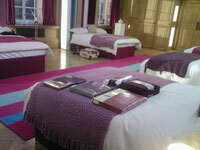 It has been a busy few weeks at work preparing and getting ready equipment for the BBC’s Comic Relief does Fame Academy. This is the first time we have supplied equipment for this particular show. Fame Academy is the BBC’s attempt at reality TV. The concept is a cross between X Factor and Big Brother, where we spy watch ‘students’ living with some of there time taken up by musical training and other various related activities. This is then followed up by a TV show where each ‘student’ struts their stuff before being ridiculed by the resident music ‘experts’. Phone vote decides the fate of these ‘students’ with one being kicked off on each episode before we are left with the ‘best’. Being a celebrity version we had to endure 6 weeks of awful singing by people whose agents couldn’t find them anything better to do for 6 weeks, but I digress! On to the equipment we supplied. The show was split in to three production units – Reality part, BBC1 show and CBBC/BBC3 show. We had the headache pleasure of providing the three productions with lots and lots of radio microphones and in-ear systems. 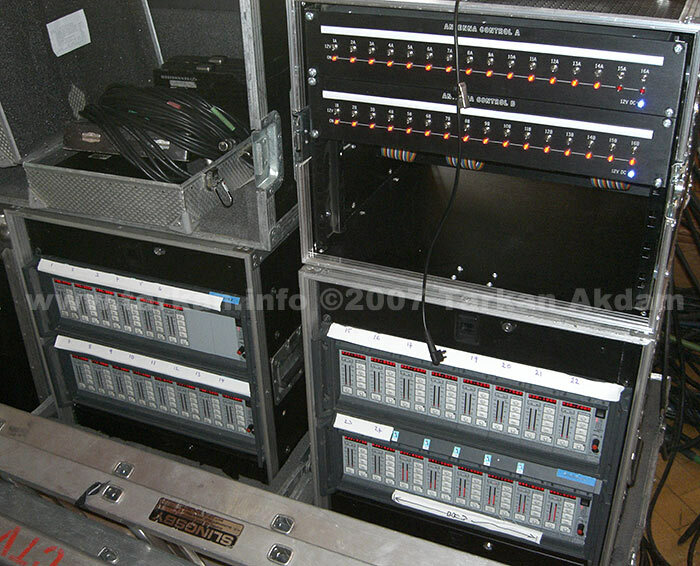 Initial spec from us was for a total of 41 pocket transmitters (lapel personal mics) and 7 hand held microphones. 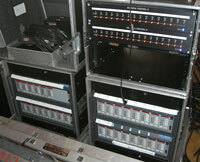 Also we supplied 9 channels of In Ear monitoring systems. As the show got closer to air date extra pieces were being added constantly. 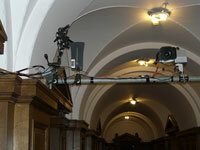 One being portable receivers so presenters could do piece to camera outside of the show studio. Pocket transmitters were all Sennheiser SK3063 hooked up with MKE2 lapel microphones (these were the microphones and transmitters worn by the contestants) during dance training the microphones were switched to DPA headsets. Radio microphones were Sennheiser SKM5200 with the presenters microphones using the very expensive Neumann KK105 capsules. 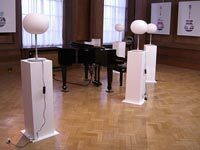 Sennheiser themselves supplied the 14 Evolution SKM935 radio microphones used by the contestants when singing live on the BBC1 show. Frequency planning was very crucial with new frequency plans created to insure all the systems worked together without interference. Lots of eeprom programming and adjusting to make sure nothing goes wrong, once the show was on air it would stay on air for 17 hours a day so reliability was paramount. Most interesting part was dealing with the reception end of all these microphones. The programme was located within County Hall, London. The reality part was housed in several rooms which skirted the outside of the building in a L shape with the longest leg at 110metres and the other 80metres long. The contestants had to be picked up everywhere within that space including the corridors. This meant a gargantuan antenna setup not only because of the distance and space involved but the partitions between the rooms are made up of masonry and wood clad at least 1metre deep. 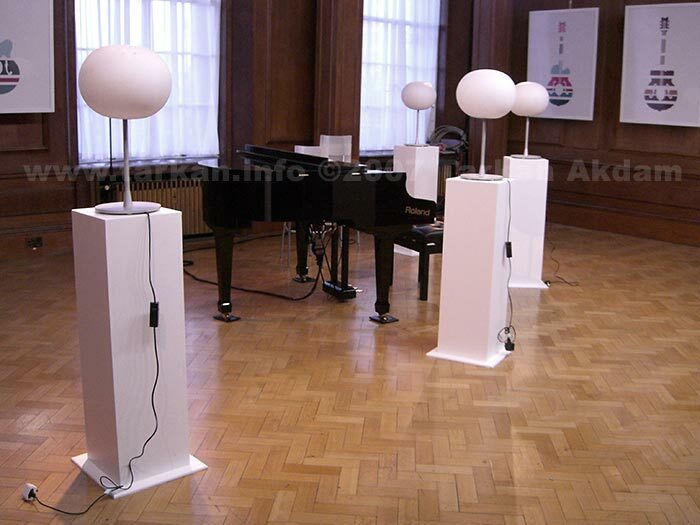 Each room had to be equipped with diversity pair of antenna. The reality part ended up with 30 antenna made up of different numbers of omnidirectional and directional types with the longest rf cable runs at 150metres (all cables had to be run on the outside of the building!!). Due to the long cable runs in line rf amplifiers helped maintain signal levels. All these cable where fed in to a massive 32 channel antenna combiner unit which in turn fed the 4 Sennheiser EM1046 racks each housing 8 receiver modules. 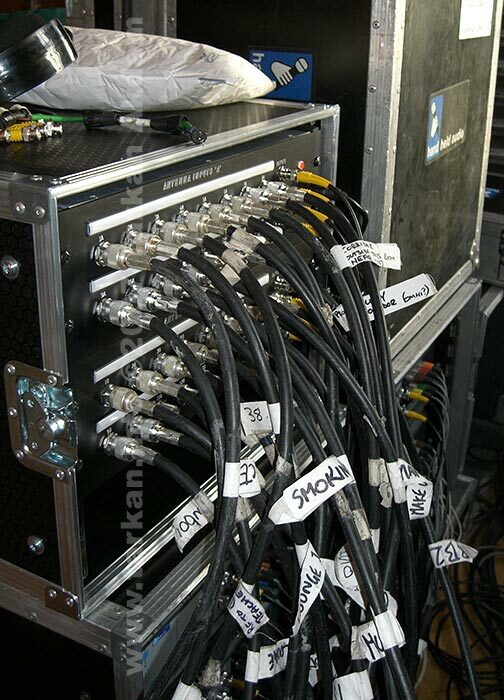 The remaining productions used much simpler arrangements with local antenna for the ‘studios’ as the receiving equipment was located nearby. I must confess due to having a life I don’t really watch reality tv programmes, but out of curiosity I watched a little to see how it all came together and I thought it went very well. Except the singing – next time I may just send in a tape of me singing in the shower! !